It's finally finished! 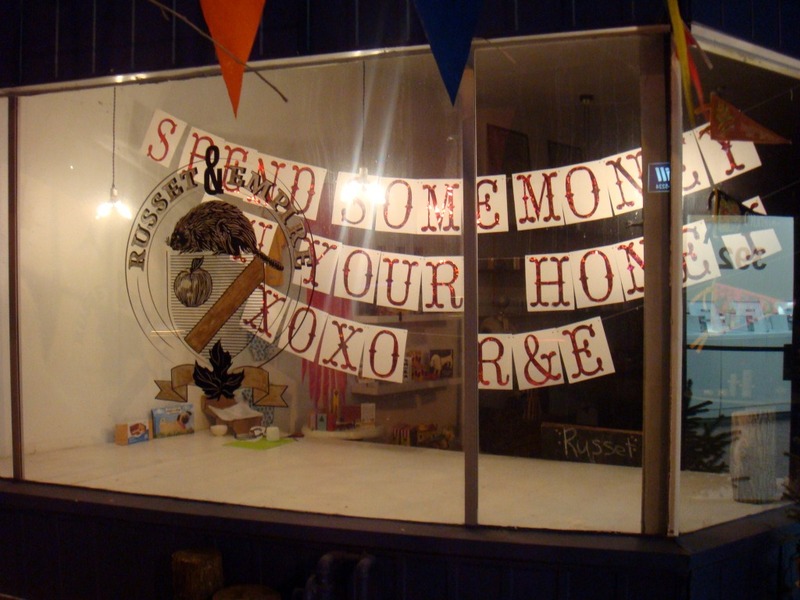 My little week long labour of love is complete, so come on down and spend some money on your honey! 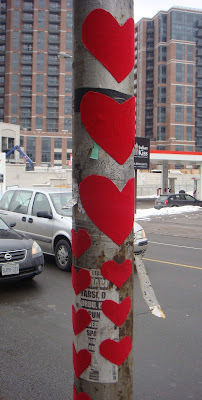 Also, there seems to be some mystery heart graffiti on the hydro pole outside of the store that used to be covered in horrible flyers and now is covered in lovely red felt hearts, I wonder who did it????? the new window looks so nice!